TL; DR: Indian host and website development company YouStable was established in 2015 and already has plenty of fans. The company not only provides hosting, web design, and SEO capabilities, but it also strikes an appealing balance between service and price. Clients from around the world also choose YouStable for its responsive customer support staff, which is always available to help solve problems. And, as CEO Rajesh Chauhan noted, the company plans to continue growing by catering to the unique needs of SMBs. YouStable, a hosting and web development firm founded in India in 2015, has already managed to amass a devoted following. The company is committed to helping entrepreneurs and SMBs get online with robust hosting services and grow their reach through sound SEO strategies. And that dedication is on full display in some of the company’s glowing customer reviews. While praise has become common for the provider of hosting, design, and SEO services, YouStable began with more humble goals in mind. YouStable is a trusted partner for hosting, website design, and SEO for many SMBs in India. “When we started out, we aimed to offer speed optimization, fix internal links, and develop keyword optimization for company websites,” said YouStable CEO Rajesh Chauhan. From those initial goals, the company expanded both its focus and its featured services. Today, YouStable offers web hosting, domain name services, website design, and even bulk text messaging for businesses. Its SEO services also give smaller clients the opportunity to reach users and customers worldwide by using proven techniques to amplify their messaging and improve their search rankings. These services are why YouStable has become so popular over such a short period. Most of the company’s products are targeted to help its small and medium-sized business clients attract and re-energize customer bases. SMBs are drawn to YouStable’s suite of services and its responsive customer support. Though the team is small, the company still provides customers with a wide range of expertise — from HTML and PHP to graphic design and animation. While YouStable offers a variety of services, its web hosting platform is on par with that of popular dedicated hosts. The company uses updated infrastructure to ensure consistency. Specifically, the company’s servers are SSD enhanced, which improves their stability — and reliability. “We have close to 100% uptime,” said Rajesh. And that consistent service doesn’t come with an expensive price tag. Users can try out YouStable for only $2.49 a month for its smallest package or $9.99 a month for the largest one. YouStable’s smallest monthly package is perfect for small businesses just getting into web hosting and includes 1GB of SSD storage, 100GB of bandwidth, a customizable website, five email accounts, and 24/7 customer support. The best part? New customers get to test drive these services for the fisrt month of service for only $0.01. After the trial period, the package remains affordable at less than $5 per month. On the other end of the spectrum, YouStable’s professional package provides 50GB of SSD storage, unlimited bandwidth, 10 websites, unlimited email accounts, and unlimited databases. After the trial period for this package is up, it still costs businesses less than $15 a month to continue. And each service level comes with a proportionate amount of free SEO services. YouStable helps optimize each website to rise in search rankings through features that include security checks and setup help. Further, the company offers instant scalability if a client’s hosting needs change quickly. If a business sees an influx of seasonal customers, it can switch over to a more substantial package. YouStable also offers businesses the flexibility to switch back to a smaller package if they choose. Search engine optimization (SEO) services help make websites more visible in search engines, and YouStable provides these to the small businesses that need them most. For companies with annual plans, YouStable offers website optimization on their primary domain name for free. The company ensures the domain is tailored to Google’s current algorithm, using tools like Install SSL, Speed Optimization, 301 Redirection, and Cache Setup. 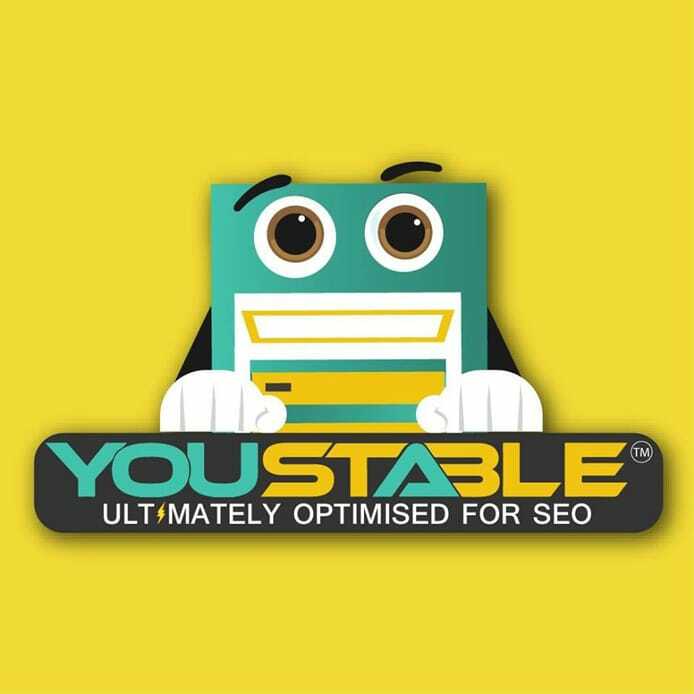 YouStable promises to boost website rankings on more than 30 search engines through its optimization process. Compelling website design, which YouStable provides, can also ensure a website stands out to potential customers. And a dedicated team helps clients tweak their sites to attract the most traffic. The team can create websites optimized for many different devices — including tablets and laptops — and have designed websites for companies from India to Texas. From acquiring domain names to ranking highly in search results, the YouStable team helps clients succeed. But, before a site can design a website or establish SEO, it must acquire a domain name that will boost business. Purchasing an effective domain name, as well as other similar sites, can provide a company website a significant opportunity to grow market share immediately. “It is one of the main factors of how your website ranks. So it needs to have a dedicated IP address,” Rajesh said. YouStable offers simple domain hosting services at a low flat rate per year. Users can choose the type of URL they’re looking for — including .com, .net, and .org — and YouStable will handle the registration. The company provides DNS management, email accounts, domain forward, and domain theft protection for that year, as well. YouStable will also migrate all of the features and files from a previous website to a new domain hosted on its servers. YouStable has thrived by providing an array of services and near 100% uptime in the competitive Indian hosting market. But its customer support and responsive service have also become the company’s calling card. 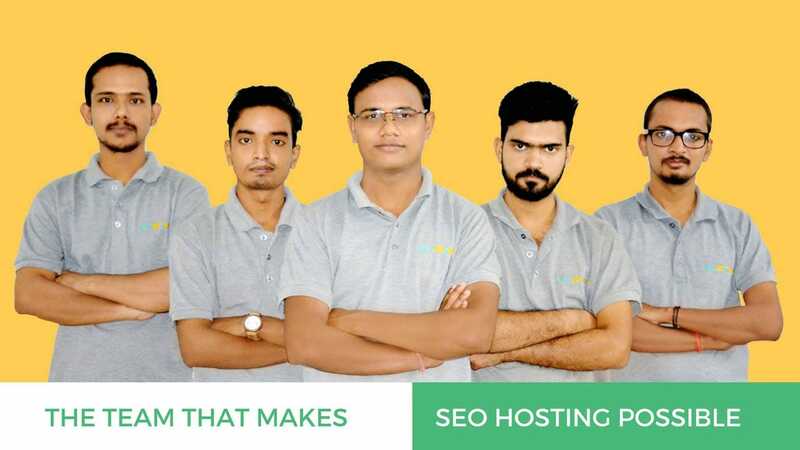 One client, SEO Expert Arsh Kapoor said he came to YouStable after having a bad experience hosting his websites elsewhere. In a review, he said that YouStable saved him and his websites, of which he hosts 15 with the company. “The service I get is really awesome. They are really very supportive and (provide guidance on) server queries personally,” he said. YouStable is based in Lucknow, a large city in Northern India, that is quickly developing a reputation as a tech hub in the region. 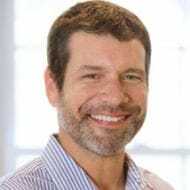 This regional concentration makes it easier for companies to make relevant connections with other booming IT operations. “It provides us with the chance to have a local partner in SEO,” Rajesh said. YouStable also has big plans for the future, not only for itself but also for the city that it calls home. As part of its mission, the company wants to provide the best web hosting and development services to people in India. But its broader purpose is to make clients around the world happy with its affordable features and robust support. “If the customer is happy, our business will be good,” said Rajesh.